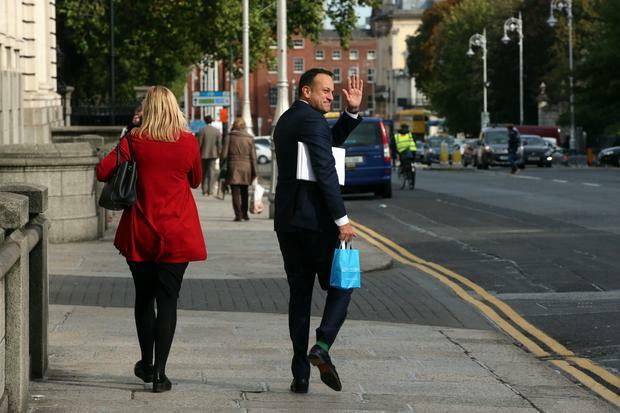 Taoiseach Leo Varadkar on Budget day 2018. Almost two-thirds of Independent.ie readers feel that Budget 2018 will not leave them better off. The Budget introduced a mix of moderate tax changes and Social Welfare increases against revenue raising measures including a rise to commercial stamp duty and an increase in excise duty on cigarettes. But more than 1,300 readers who responded to Independent.ie's poll said they will not be better off thanks to the measures announced today. Some 31pc of respondents said they would be somewhat better off as a result of the budget, while a minority (4pc) said they would be significantly better off. The Budget has been met with mixed reaction across the board: housing and homelessness campaigners have given it a cautious welcome, while the opposition has criticised it as a "stand still" Budget and a return to the politics of boom and bust. Another hugely insulting budget for working people and taxpayers. This country is fast sliding into welfare central, at times of almost full employment is the opportune time to slash the already massive welfare budget. What do they do? Increase it even further. Why would anyone work or take a lower paid job? Niamh Farrell €2 a month!!! From midnight tonight smokers will be paying more than €12 for a box of cigarettes for the first time, following a 50c hike. A new rate of Commercial Stamp Duty will come into effect at midnight also. The rate will rise from 2pc to 6pc tonight. However, buyers of residential land will be entitled to claim back the stamp duty, provided that development takes place within 30 months of the land being purchased. Changes to two rates of USC and the widening of tax bands to raise the ceiling at which earners begin paying the higher rate of income tax is due to come into effect in January 2018. A two tier sugar tax of 30c per litre on sugary drinks with more than 8g of sugar per 100mls and 20c on drinks with between 5 and 8g of sugar per 100mls is due to be introduced in April 2018, in tandem with the UK. Social welfare payments are to increase by €5 per week, but recipients will have to wait until the last week of March 2018 for the changes to come into effect. The Christmas Bonus for welfare recipients will be paid at 85pc again this year. Boom-time buyers who are benefiting from mortgage interest relief will now see that cut by 25pc this year as part of a phasing out plan. The tax relief will be reduced by 25pc every year for the next three years. It is expected the reduction will save the State €50m next year. Independent.ie readers may cast one vote per device. Budget 2018 coincided with World Homelessness Day - but what do advocates make of measures to tackle the housing crisis?